Famous Players operated this theatre, which they opened on October 27, 1930, and closed in 1999. At some point in its history, it was twinned, the two auditoriums designated north and south. This theatre was owned by Premier Theatres (Allen Brothers)till 1970 when they sold it to Famous Players according to their website. In the mid 90s, Famous Players was considering adding screens to the Hollywood to make it more of a multiplex. But alas they built the Silvercity Yonge/Eglinton instead. In a way it would have been nice to re-devlop the Hollywood site because the Yonge/St Clair area would still have been considered an entertainment destination, especially with many new condo developments in the area. I still miss the Hollywood twins and the Odeon Hyland twins two doors down….it was always nice to go to that neighbourhood, see a movie and then walk around to the shops and restaurants. This was Canada’s first dual-auditorium theater, according to an item in Boxoffice Magazine, April 5, 1947. The item was actually about the Elgin Theatre in Ottawa, the expansion of which was then in the planning stage. 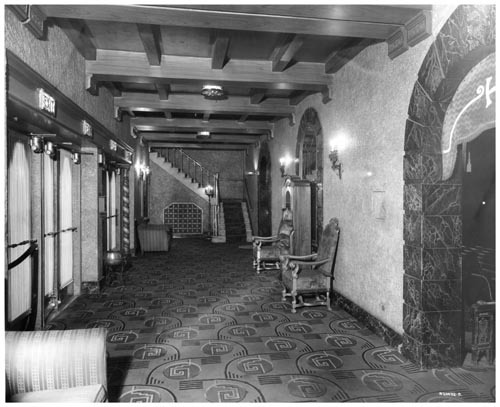 The second auditorium of the Hollywood was already under construction at that time, and was expected to open soon. The second auditorium of the Elgin opened on December 31, 1947. 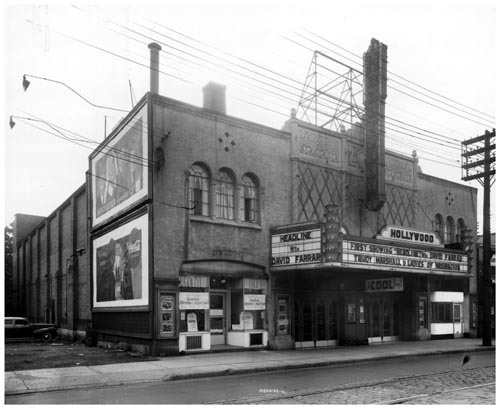 Three dual-auditorium theaters are known to have been built in the United States by 1941. All of these, and the Hollywood, opened with a policy of showing the same program in both of their auditoriums. 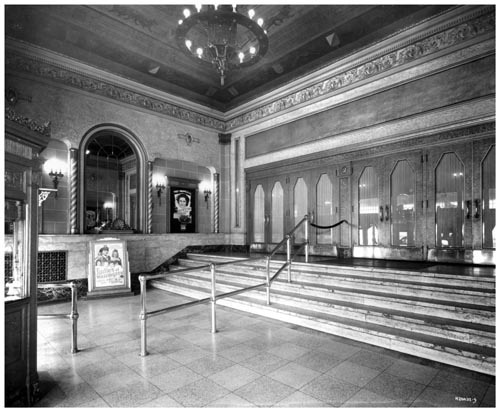 The first dual-auditorium theater known to have opened with a policy of showing different programs in each auditorium was the Elgin. Scroll down on this webpage to see a picture of the Hollywood in 1959. The page for architect Herbert George Duerr at the Biographical Dictionary of Architects in Canada lists the Hollywood Theatre as a 1930 project, with an addition dated 1946. The 1946 design must have been for the 1947 twinning of the theater, which was noted in my previous comment on this house, January 7, 2009. The Hollywood Theatre was built as a unit of Premier Operating Company, a Famous Players affiliate. In the late 50’s when Shea’s Theatre was torn down to make way for the new city hall, Famous Players desperately wanted the Hollywood so in 1959 Famous Players traded all the Kitchener/Waterloo theatres to Premier Operating in order to get exclusive control of The Hollywood. I worked at the Hollywood for several years starting in the summer of 1974 and I can attest that the South Auditorium was the larger of the two…it had almost exactly 800 seats. The North was indeed 690. October 27th, 1930 grand opening ad in photo section.